Updated 5 p.m. | Posted 12:01 a.m.
Minneapolis police officer Scott Aikins didn't know what was happening as he came upon the scene of a woman dying next to a police car in a Minneapolis alley. Emergency medical technicians were trying to save Justine Ruszczyk, who was barefoot and in pajamas. Aikins jumped in and held a trauma pad to her wound. But it was too late. With her pupils "fixed and dilated," the EMTs said they were going to "call it." Shortly after, Aikins asked aloud, "Are we looking for a gun here?" The answer, he would learn later, was no. The shot had come from officer Mohamed Noor's gun. The video, captured by Aikins' body camera as he rushed to the scene in July 2017, played out in heartbreaking detail Thursday in the courtroom where Noor faces murder and manslaughter charges in the killing of 911 caller Ruszczyk, who was also known as Justine Damond. 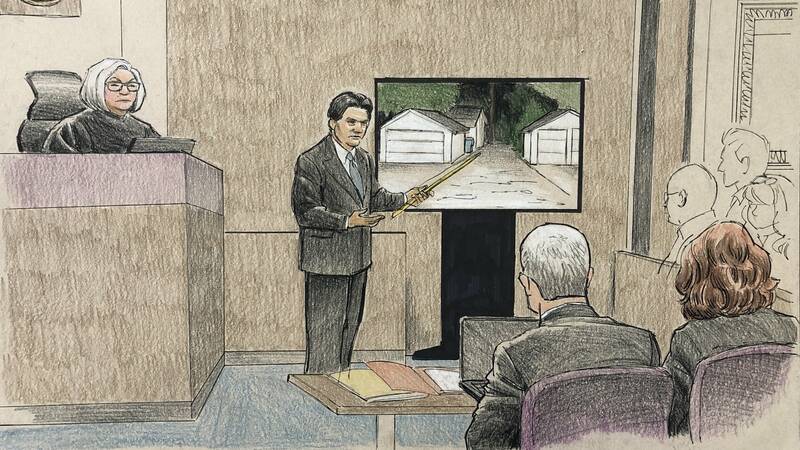 Before the 22-plus minute video played, Judge Kathryn Quaintance warned it was graphic and said observers could leave. Don Damond, Ruszczyk's fiance, and other family left. Her father John Ruszczyk and his wife stayed, squeezing hands with Damond and other family members as they passed. The video offered a glimpse of the confusion in the alley after the shooting, with Aikins asking repeatedly for an explanation of what happened. "'Da hell is going on?" he asked at one point. Noor is charged with second- and third-degree murder and second-degree manslaughter in Ruszczyk's killing. She had called 911 to report what she thought was an assault happening in her alley. Noor was one of the officers who responded. 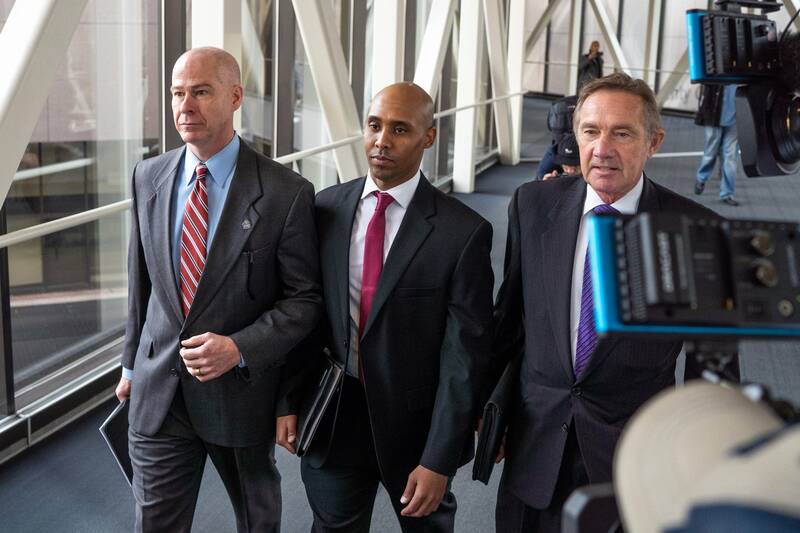 Noor's attorneys argue he fired, fearing an ambush, as Ruszczyk approached his squad. Testimony Thursday showed Aikins wasn't the only one confused by the scene in the alley. Now-Lt. Rick Zimmerman, who oversaw the department's officer-involved shooting investigations, said he searched for a gun around Ruszczyk's body when he came to the scene after Noor and his partner officer Matthew Harrity had been brought to City Hall, which is standard procedure in such shootings. "My first thought was 'What the f---? Why isn't there something here?'" he said in court Thursday. He also recalled being told by a police sergeant that the woman shot and killed in the alley was "probably a drunk or a drug addict." Issues of Noor's character also surfaced during Thursday's testimony. Quaintance reprimanded the defense for asking officers whether Noor was a good officer. Defense lawyers had previously fought to exclude from the trial character evidence, including an incident where Noor pulled a gun on a driver during a traffic stop. 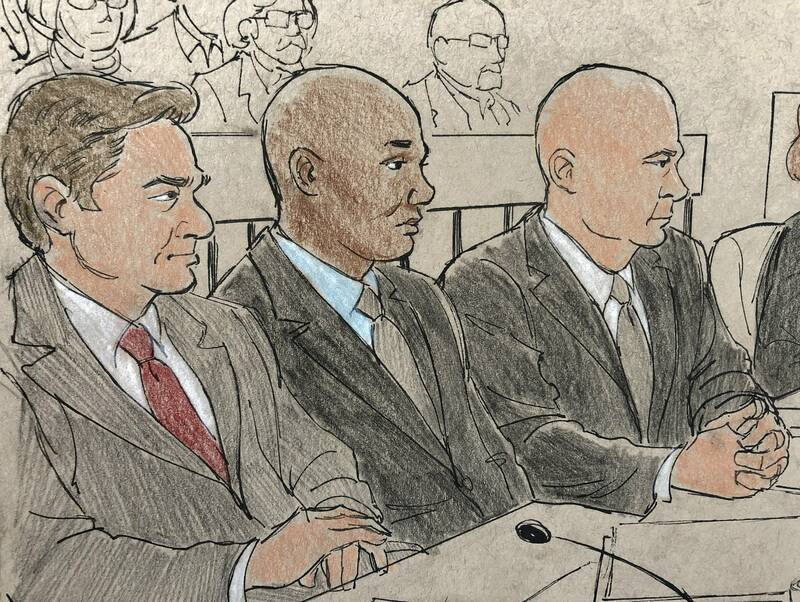 Under cross examination, Aikins told defense attorney Peter Wold that he knew Noor and had worked with him, and had seen him do his job professionally in those times. Later in the day, Mark Ringgenberg an officer who accompanied Noor following the shooting, testified that Noor kept asking every couple minutes if Ruszczyk would be OK. When the ambulance left the scene, Ringgenberg told Noor it meant she wasn't being transported to the hospital. Noor, he said, seemed upset. The defense filed a motion earlier this week challenging the introduction of body camera videos showing lifesaving efforts the officers performed on Ruszczyk, arguing that it is prejudicial, not relevant to the charges, and could inflame "the passions of the jury." Quaintance has allowed some body camera footage the defense opposed but hasn't yet released a written ruling in response to the motion. In a memo attached to a written ruling Wednesday that backpedaled from an earlier order Quaintance had made to restrict the public from seeing some body camera footage in the trial, the judge outlined the events captured in the footage. Neither officer turned his camera on soon enough to capture the shooting. Both body cameras captured Noor and Harrity standing over Ruszczyk less than 15 seconds after the shot was fired. Quaintance said in the document that the videos show both officers doing CPR on Ruszczyk, as well as her gasping for breath. Harrity's body camera also captured a 23-second conversation between Harrity and a supervising sergeant. Other officers who arrived had their cameras on and captured the EMTs as they attempted to revive her. • Monday: Who are the jurors? On Wednesday, assistant Hennepin County medical examiner Lorren Jackson told the court that the bullet entered Ruszczyk's body to the left of her navel and passed through the iliac artery, a major blood vessel in the abdomen, before lodging in her spine. Asked if she would have been able to survive with more prompt treatment, Jackson said it was unlikely. The doctor testified that he found 1.6 liters of blood in her abdominal cavity, which is a lot of blood for a person of Ruszczyk's size to lose.